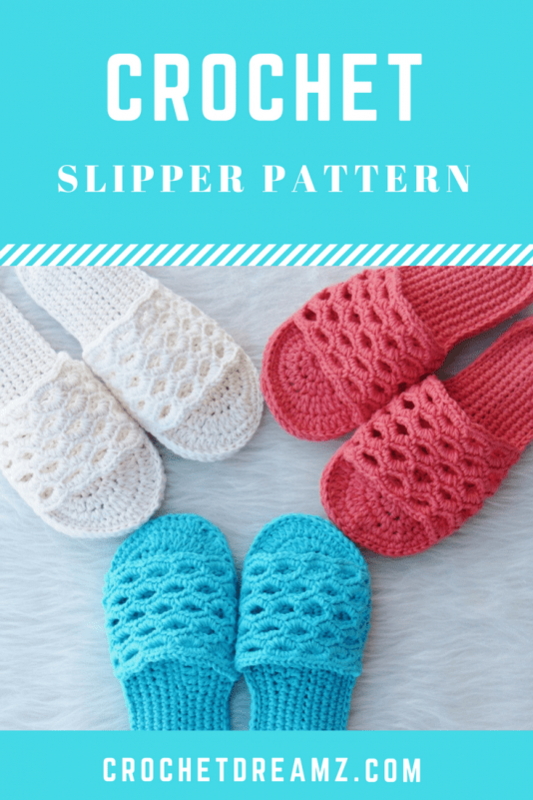 Designing booties and slippers crochet patterns is my first love and I can never get enough of them. 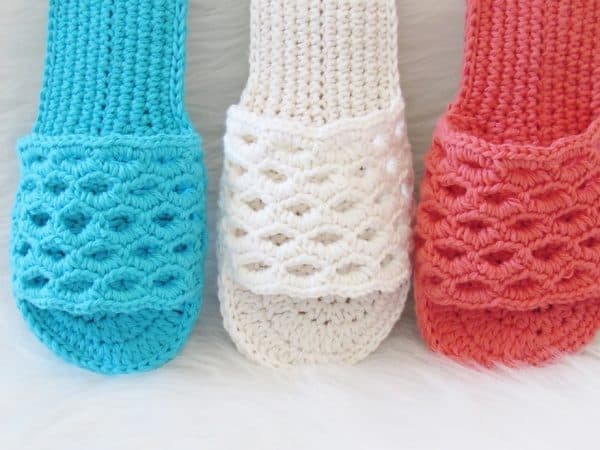 I am really excited to present my new crochet slipper design for spring. Follow the pattern and you get a sturdy and cushy sandal that will keep you comfortable all day long. They are perfect for those lazy days where all you want to do is stay in your PJs and read a good book or watch some television. From the gazillion pictures I added, you might have guessed that I really enjoyed making and photographing them. I don’t enjoy making soles for slippers. I can’t believe I made a freaking 12 soles for this design. I hope you like it as much as I do. * The crochet pattern requires worsted weight cotton yarn and an F(3.75mm) hook. I used Lily Sugar n’ Cream. * The stuffing inside the 2 layered sole make them comfortable to walk in. * Just like a regular pair of sandals, the left and right soles are shaped differently. Payment can be made securely through PayPal using your credit card or PayPal account, see the FAQ for details. Once you pay, the pattern will be emailed to you within 24 hours. If you have any questions or fail to receive the patterns please use the ‘Contact Me’ form on my blog, top left. Please do not resell the pattern itself or pass it onto others. All my patterns are protected by copyright. Read my copyright page for more info. The pattern was emailed to you. The patterns on my blog are emailed and not shipped. I hope you would have received your PDF by now. It says the pattern is free on the Share A Pattern website. Was this in error? It is a mistake on the part of Shareapattern website. I will be asking them to rectify it. I apologize for any confusion this might have caused. Why are you advertising this pattern as free on “Share a Pattern” then charging $5.50 when we click on it?? Very disappointed with the false advertising!! Hi Libby, I did not advertise on their site. They share both paid and free patterns and this is an error on their part. I will be writing to them to them to rectify it. I apologize for any confusion this might have caused. I’m disappointed!!!! Under the pattern on Share a Pattern it states Free pattern. I get here on your web and you charge for the pattern. You should not advertise FREE and then charge for it. Hi Theresa, I did not advertise on Shareapattern.com. Share a pattern is a crochet directory that shares both free and paid pattern and this was an error on their part. I will be writing to them to get that rectified. I apologize for any confusion this might have caused. I would love the pattern ? That’s too bad because I thought they are cute. Just can’t spend any right now. $5.50! What a steal for a personally designed pattern! Thank you for sharing your talents!! Hi Anne, thank you for your kind words. I love your patterns. Was wondering do you sell a book of all your patterns in one. Even a paper booklet type? Thank you for offering. This suggestion would be great for us seniors on limited income.